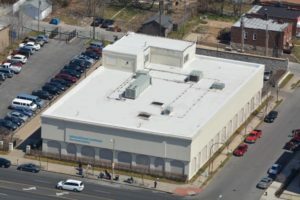 As a premier St. Louis commercial roofing contractor, Innovative Construction & Roofing specializes in commercial roof repair, replacement and installation. 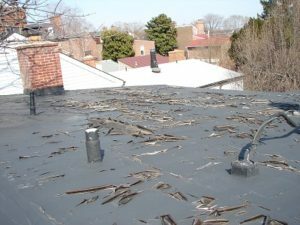 Our professional commercial roofing teams have repaired or replaced hundreds of roofs in the St. Louis region. From manufacturing facilities and industrial plants, to churches, schools and retail spaces, we have the experience, expertise and technology to install, restore or maintain any type of roof system, while ensuring minimal to zero impact on your daily operations. At Innovative Construction & Roofing, we offer a wide variety of roofing products to ensure that you get the absolute best solution for your commercial roofing system. We specialize in repairing and replacing commercial roofs damaged by Mother Nature. 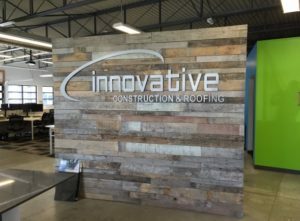 Innovative has storm restoration crews in both the St. Louis and Oklahoma City regions who understand the magnitude of details required to work effectively with insurance companies. We are committed to going the extra mile to make the claims process easy for you. We will meet with your insurance adjuster and make sure that you get the coverage you deserve. In the roofing business, referrals are essential. We go all-out every day to provide our customers with unparalleled service during every stage of their project. That’s why we are proud to have earned more than 150 positive customer referrals, significantly more than other roofing contractors in the area. Our hard work and dedication to excellence in workmanship has earned us recognition in both our community and in the roofing industry. In 2013, Innovative was named the 2nd fastest growing company in St. Louis by the St. Louis Business Journal. For two consecutive years we have been recognized as a top 100 Roofing Contractor by Roofing Contractor Magazine. We also earned a place on Inc. Magazine’s List of the 5000 Fastest Growing Companies. As a property manager or commercial property owner, you recognize the importance of hiring the best contractor to get the job done right. With some of the most experienced roofing pros in the industry, our goal is to provide the most comprehensive and professional experience for all of our customers. You can depend on Innovative to get your project done right the first time around. Innovative Construction & Roofing is a certified installer of all major manufacturers’ roofing systems. This means we have met stringent requirements for workmanship and financial stability and have a proven record of quality workmanship and good business practices. 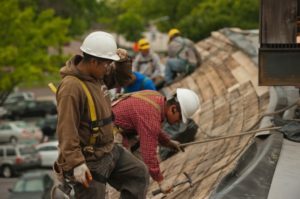 Our roofing teams are professionally trained and stand behind our workmanship guarantee that your roof will be installed per manufacturer specifications for the lifetime of the product. Our company is committed to keeping up with roofing technology and trends in order to deliver our customers the best combination of resources and expertise. When applicable, we use drones to deliver state-of-the-art inspections as your project progresses. No matter what type of roofing system you’re looking for, we have a step -by-step approach to handle each request.